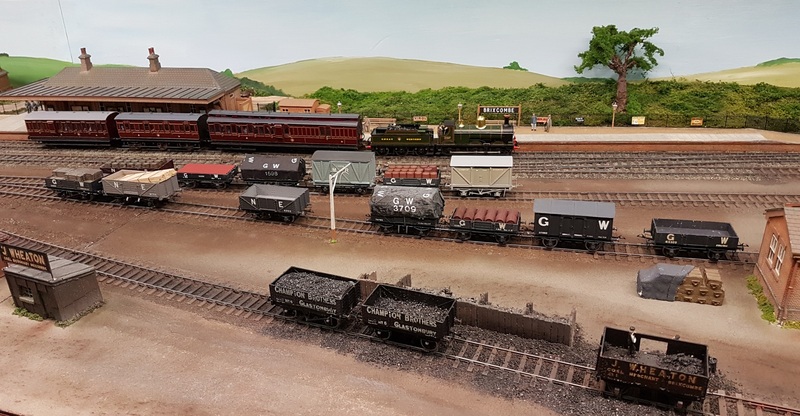 A trip down to Eastleigh today for the excellent Southampton MRS exhibition. 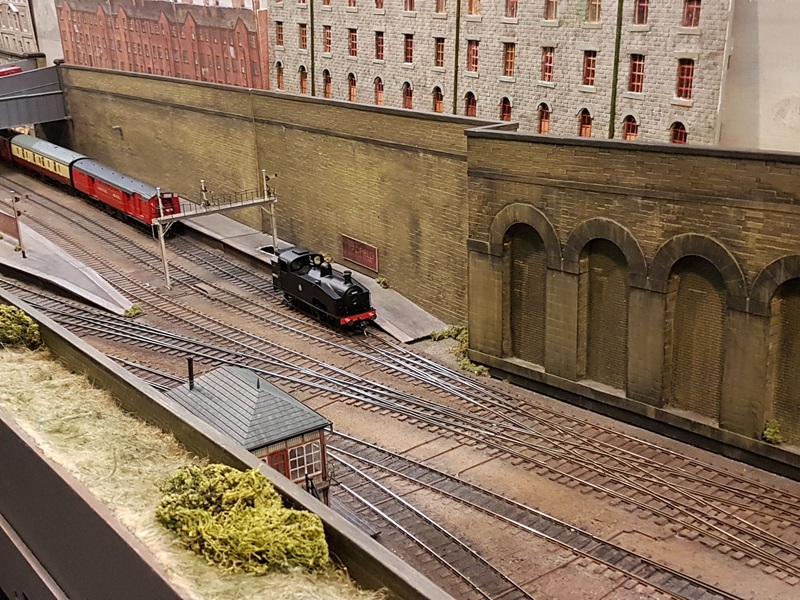 There were some excellent layouts on show, and plenty of trade, though I was a good boy and bought absolutely nothing. Derek came along with me and it was good to have some company for the 80 mile trip each way. This is definitely at the limits of my exhibition visiting! I’ll do the usual pictorialsurvey of the layouts, but they will be as we looked at them, rather than by scale. We start with Stoke-by-Nayland, an attractive slice of ex-Great Eastern Railway in Suffolk, in P4. Very recognisable as Suffolk, and some added interest in that ‘Dingham’ automatic couplers are used. These are certainly one of the least conspicuous couplers available, a good balance between the robust and the invisible, but unfortunately they are only found in 4mm and larger scales. Next Bradfield Gloucester Square, in fine-scale ‘OO’. 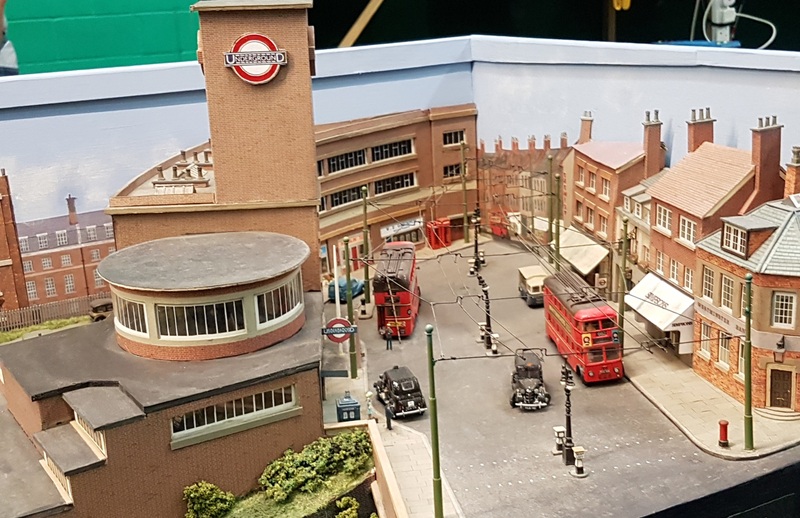 Excellent dirty and careworn scenery with a sort of ‘Minories plus’ layout and some attractive complex trackwork. 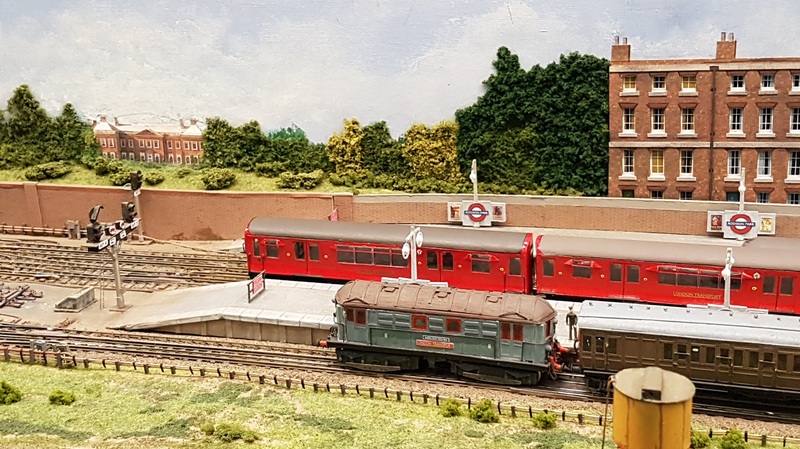 I’ve seen Addison Park, 3mm finescale (14.2mm gauge) before, but it’s always worth another look, as London Transport layouts are far from common. And I love the trolleybuses with full overhead wires. 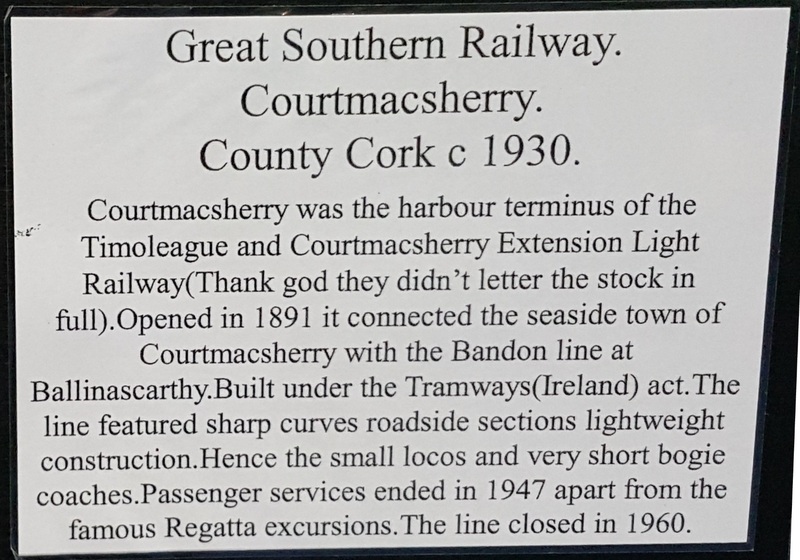 So to Courtmacsherry (4mm scale, 21mm gauge), a slice of southern Ireland. The layout notice sums it up better than I can put it…. 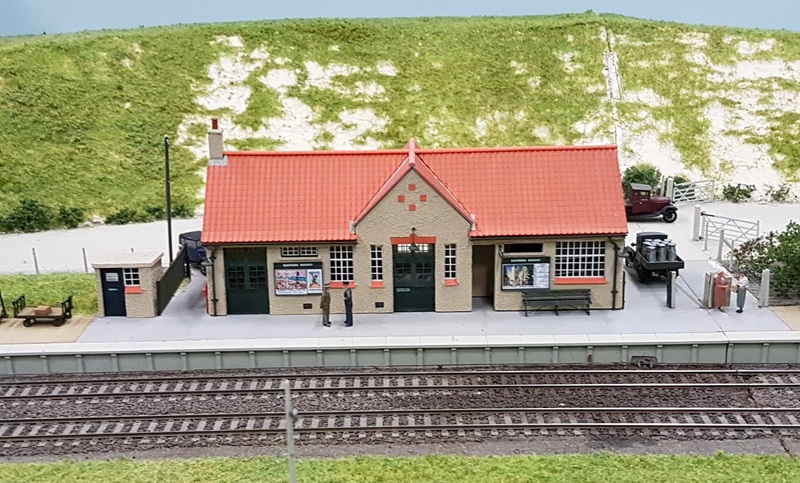 A delightful model, even without the strange light railway stock. I understand that the model is exact scale in its length, and the path of the railway can easily be traced today. Fawley shows the line to the refinery when it was a light railway taken over by the Southern Railway, rather than the major industrial branch line of layer days. 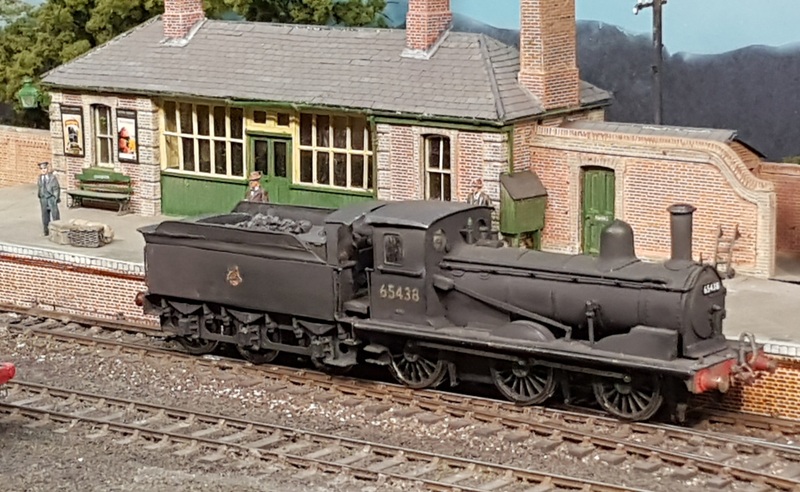 Shunting was being carried out by an Adams ‘Jubilee’ 0-4-2 locomotive, not as well known, but longer lived, than the LBSCR ‘Gladstone’ class of the same wheel arrangement. 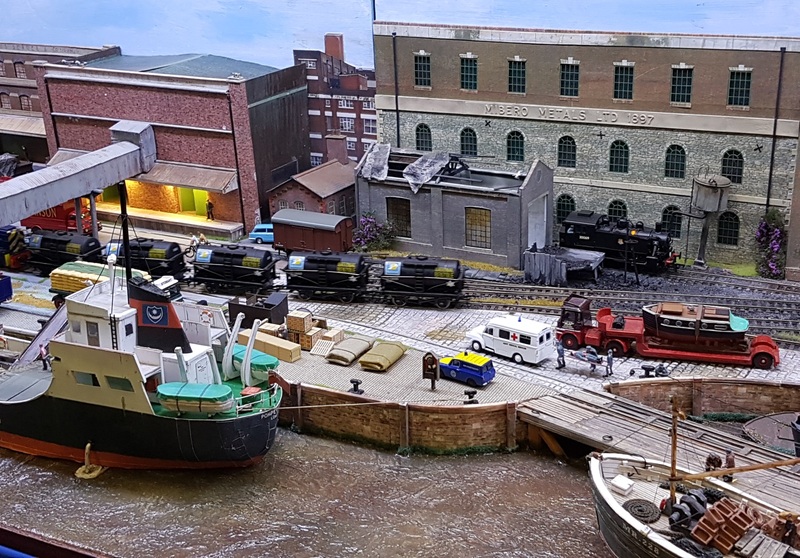 Bosun’s Wharf, in OO had some excellent ship modelling, and some interesting cameos – spot the stretcher case being carried to the ambulance! One of my favourites – Littleton in ‘O’, with Southern Region electrics to the fore. 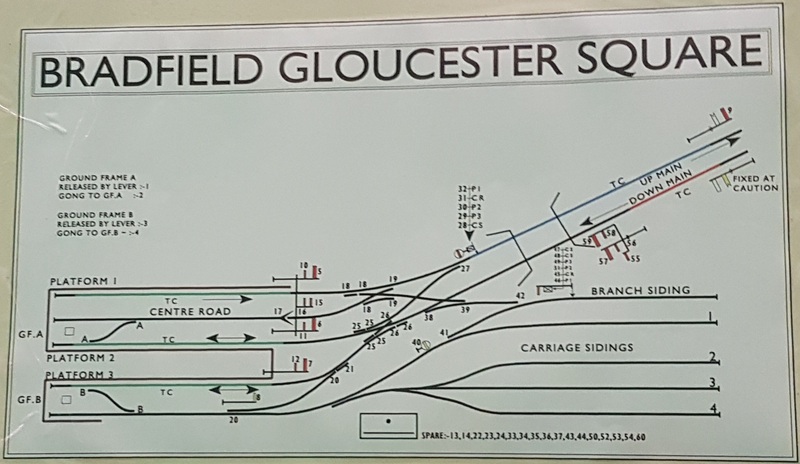 Brixcombe, in P4, was, in one way, the classic GWR branch line. 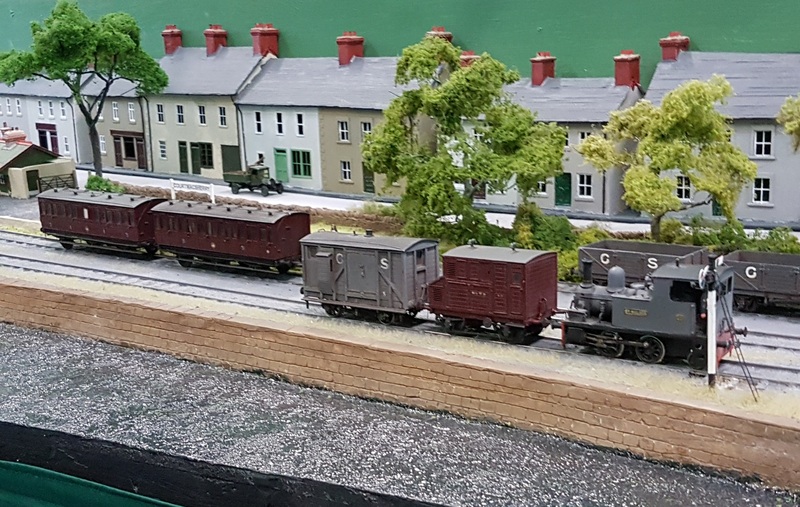 However, this is not the typical GWR branch – maroon coaches, and open cabbed, brass domed pannier tanks. Have to say this is more interesting than the usual stereotype…. 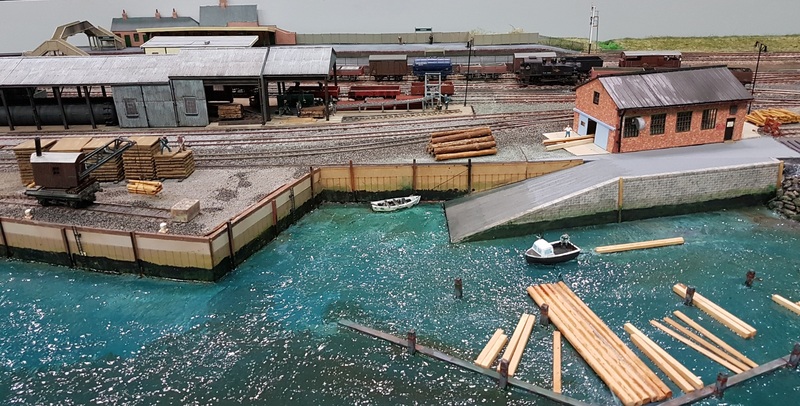 Redbridge Wharf, in ‘OO’ is a model of the coastal industrial area of this corner of Hampshire. More layouts to follow next time…. I do like that Bradfield Gloucester Square. The series on YouTube running from first train to last by timetable is great.